NEW DELHI — BAE Systems UK has teamed up with India's private sector automobile major Mahindra Group to produce 145 M777A2 LW155 light howitzer guns being bought by the Indian Army from U.S. subsidiary of BAE System on a government-to-government basis. In 2015, the Indian government cleared a pending proposal to buy 145 of the M777A2 LW155 Light howitzers guns from the US subsidiary of BAE Systems for $700 million, but only after BAE committed to a commitment from BAE Systems that it will set up assembly, integration and test (AIT) facilities in India to boost India's domestic defense industry. 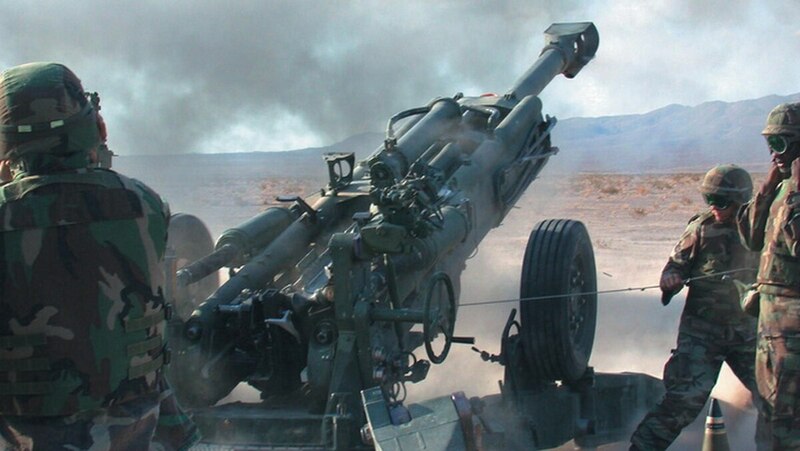 Though the proposal to buy the 145 M777A2 M777A2 LW155 light Utility howitzers has been guns is pending since 2008, the Indian government agreed to give the go-ahead to produce the guns in the Make in India category. "BAE Systems looks forward to working with Mahindra in the coming weeks to finalize details of this AIT facility and to negotiate the terms of its contractual arrangement," a company press release said Wednesday. Feb. 17. Mahindra Group was competing along with other domestic defense companies to tie up with BAE Systems to set up AIT facilities. The other competitors included India's state-owned Ordnance Factory Board (OFB) and private sector companies Larsen & Toubro, (L&T); Tata Power (Strategic Engineering Division), Punj Lloyd and the Kalyani Group. The BAE System's press release says," The selection (of Mahindra) follows a detailed assessment of Mahindra's ability to fulfill the requirements and provide the best value to the M777 India program, and in the future, grow its capability as a strategic partner for BAE Systems in India." An executive of the Mahindra Group said the AIT facility will be set up in the national capital region, and that it adding that the facility will be ready within in the next 18 months, but gave no details on the business side of the joint venture. BAE Systems and Mahindra Group had set up a joint venture (JV) in 2010, but in 2013 BAE Systems sold off 26 percent of its holding in the venture JV named Mahindra Defence Land Systems India.